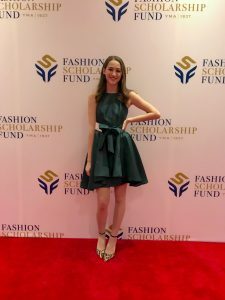 CARS Retail and Consumer Studies senior, Jamie Wheatley, was awarded the FSF Scholarship at the Fashion Scholarship Fund Annual Awards Dinner Gala in New York City this past Thursday, January 10th. 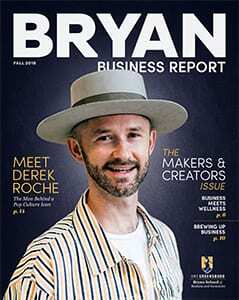 The Fashion Scholarship Fund is an educational fashion non-profit that offers scholarships to bright fashion students in both business and design. Their mission is to encourage talented, young people to pursue careers in the field of fashion and support the fashion industry’s future leaders. Jamie was also awarded the Next Generation Scholarship at the National Retail Foundation Conference in New York City this past weekend. This scholarship is given to students who have demonstrated leadership skills, had previous retail experience and who are passionate about making an impact in the retail industry. NRF works to give young fashion retail students the opportunity to network and grow as the next generation of talent in the industry. The CARS Department is extremely proud of the work Jamie has done as well as the leadership and passion that she has exhibited leading to these opportunities. Congratulations Jamie!